This year, I'm inspired by the Movember Foundation--now ranked 49th out of the top 500 NGOs around the world--to raise awareness for men's health. The initiative funds projects related to prostate cancer, testicular cancer as well as mental health and suicide prevention to help more men live happier, healthier and longer lives. 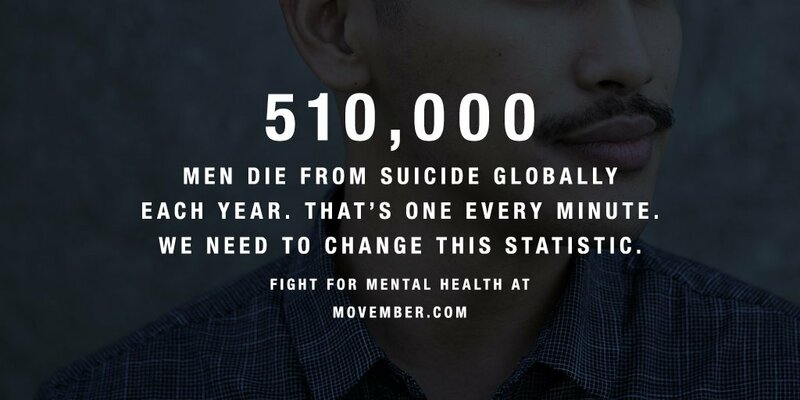 According to Movember, one in two New Zealanders will experience a mental health problem at some time in their life; three out of four suicides are men. 70% of men say their friends can rely on them for support, but only 48% say that they rely on their friends. In other words: we’re here for our mates, but worried about asking for help for ourselves. The message is: reaching out is crucial. I dig beards. In fact, I was ranked one of Idealog's Best Beards in Business. I've had some fun using it to raise money for charitable causes like the time I was challenged by my boss', boss', boss to wear a "glitter beard" to a work event. The rules require a clean shave on 1st November and absolutely no beards. One "must conduct himself like a true gentleman." Most of my colleagues and friends have never seen me without a beard. So, I figure that curiosity alone might encourage interest and support for my campaign. I'm also excited about the mo creating more opportunities to discuss men's health issues in the workplace especially. My goal is NZ$700; more than the average campaign ($500) and about 20% higher than my previous facial hair fundraising. If you'd like to support a great cause, please donate here. Thank you.